Looking for a great kids entertainer for birthday parties in Liverpool and the surrounding areas of Merseyside? If you live in Liverpool or the surrounding areas you have a massive choice when it comes to party entertainment. How do you insure your party or event is a huge success and one that all the parents talk about? Professional, reliable and friendly. Great customer service. All bookings are confirmed online, giving you peace of mind. The children’s entertainer with a 100% satisfaction guarantee for your next birthday party or event, allowing you to relax and enjoy the day. Just check out the testimonials for your guarantee of a great children’s party, allowing you to get all the credit for an amazing party! More than 1,000 Facebook likes! All 5 star reviews. Fully Insured with a DBS and safety certificates, so you know your children are in safe hands. A kids entertainer you can trust and rely on, thus giving you the party you deserve and your child will remember. All bookings confirmed online giving you security and peace of mind. 30 years of experience and entertaining more than 9,000 children every year! Birthday Parties, Schools, Christenings, Weddings and family Events. Most of Paul’s work comes from recommendations so you know you can trust Paul to make your next School Show, Birthday Party, Christening or Wedding a great success. The no. 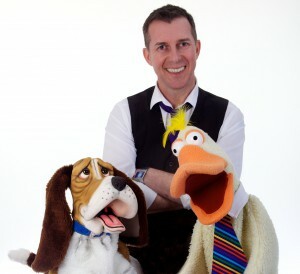 1 choice when it comes to Kid’s Entertainers in Liverpool! 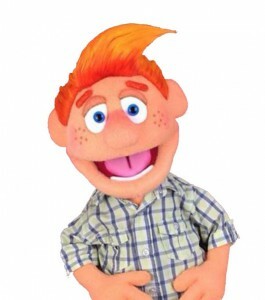 A kids entertainer who loves his job and the children love Paul’s Magic and Puppet Shows. See Paul’s show at Central Library Liverpool! Check out the testimonials and fill in an enquiry form today while it’s still fresh in your mind. Why don’t you have a stress free party!